Our Human Future – Green, Healthy, Prosperous, Abundant! 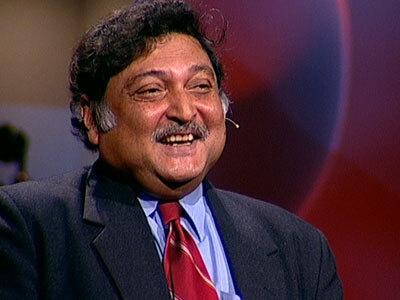 Thank God we have people like Sugata Mitra. Or Peter Diamandis. Or the hundreds of other pioneers who think like them and are transforming the world for the better. They have a vision of boundless optimism: a world of plenty, unlimited resources and resourcefulness, and an earth that comfortably yields cheap and renewable abundance for all of mankind, soon to top out at 9 billion people on our little planet. 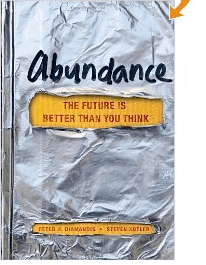 Peter Diamandis, Chairman and CEO of the X-Prize Foundation, is also a cofounder of the Singularity University (SU) in Silicon Valley and the author of the book, Abundance. The Future is Better Than You Think. In this book he describes the vision mentioned above: of transformations and exponential innovation that will result in a world that is connected, healthy, sustainable, educated and prosperous. This is not just a dream for a utopia someday far in the future – this is a blueprint eminently achievable well within one generation. Peter’s goal in founding SU, as he says in his book, is to propagate this vision and spawn at least one company that will directly and positively impact one billion people. Who will be the first one to do that? One likely candidate is Sugata Mitra. He is an educator and a scientist who tackles one of the greatest problems of education — how to educate a billion kids in this world where we have a great shortage of teachers and schools. Self-directed learning was a possibility in his mind, but were kids living in slums, with no education, language, access to teachers and schools capable of all that much self-direction? He did a series of real-life experiments in India that could revolutionize how we think about teaching. Please see the TED video below – it’s uplifting and amazing! In a New Delhi urban slum Mitra cut a hole in the boundary wall and installed a computer with the screen facing the slum. A track pad allowing point and click was attached. The computer was connected to the Internet and had a web browser. Mitra installed a video camera to record the results and walked away. The kids living in the slum could not speak English, did not know how to use a computer and had no knowledge of the Internet, but they were curious. Within minutes children of the slum had learned to click and browse the Internet. Groups gathered and soon the kids were trying different experiments and teaching one another how to use the web. This raised a lot of questions in Mitra’s mind. Was this real or was someone out of sight of his camera explaining the technology to them? He repeated the experiment with many variations. One amazing experiment was in the village of Kalikkuppam in Tamil Nadu. Mitra set himself an “impossible” target: (as he puts it, see his Ted talk in the video below) – can a bunch of impoverished, Tamil-speaking, twelve-year-olds, learn to use the Internet in English, and teach themselves biotechnology? Yes, biotechnology – this guy does not think small! “All I told them, ” he says, “is that there was some very difficult information on the computer and that they probably would not understand it.” And that he would be back in a couple of months to test them. He was somewhat disappointed and asked them when they had stopped trying to learn on the computer realizing that they had learned nothing. The girl said they were on the computer every day. ”But you learned nothing at all?“ asked Mitra. “We learned nothing …… except that improper replication of the DNA molecule causes genetic disease.” He was agape. Actually the kids had learned a lot more than that. When Mitra tested them they scored 30% on a standard test given to kids who attended formal school. 0% to 30% in two months with no formal education! Wow! Mitra kept refining the process. By adding an elderly person to encourage the kids and give them feedback (a grandmother, if you will, who didn’t need to be proficient herself) he was able to increase the test score to over 50% (better than at formal schools) and best of all the kids retained what they had learned when he came back and tested them several months later without a computer! Education is a self-organizing system and shows strong emergence. Since then Mitra has formed schools all over the globe called SOLE’s (Self Organizational Learning Environment). He enrolled real grandmothers from the U.K. and India to act as mentors via a Skype type hookup to these schools, each of which can educate 100 kids. Time to achieve: 10 years! Now that’s visionary and, in this world of naysaying, a huge blast of fresh air! This entry was posted in Current Events, Education, Evolution, Money, Science. Bookmark the permalink. 5 Responses to Our Human Future – Green, Healthy, Prosperous, Abundant! I had seen the video before–I watch some of the speakers at TED conference– but your point that we should read more things with an optimistic message in order to offset the daily barrage of negative news is well taken. Uplifts the spirits. Keep it up.